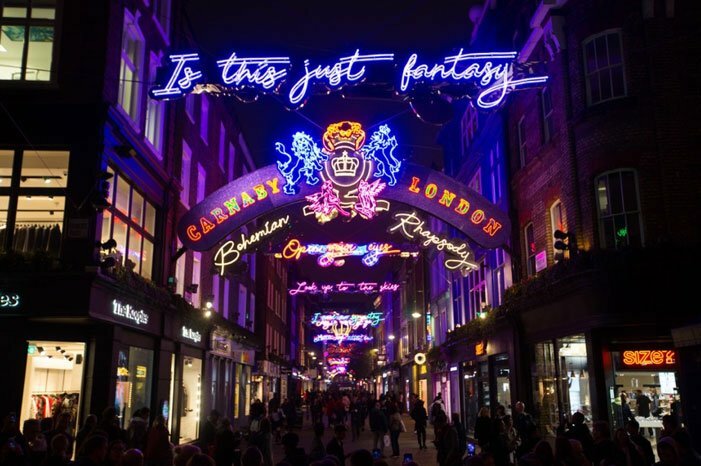 London is – to use a millennial term – ‘lit’! 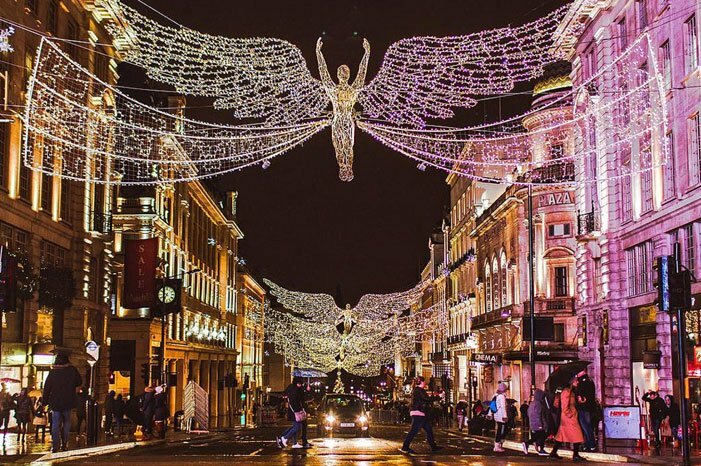 Its streets are currently ablaze with the traditional Christmas lights, most of which were turned on the second week of November, beginning with Oxford Street on November 6th. 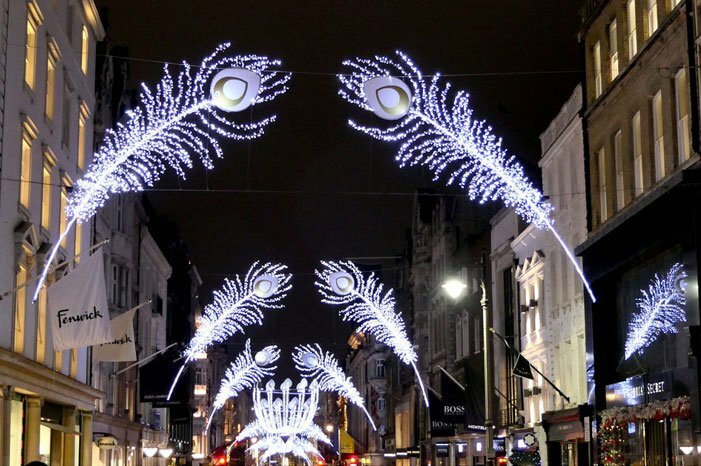 The now over six-decade long tradition of festooning the streets of London with Christmas decorations began in 1954 on Regent Street as a way of combatting an article published in the Daily Telegraph that made mention of post-war London’s “drabness.” The shops and businesses which made up the Regent Street Association financed the first light display and in 1959 Oxford Street’s Retail Association followed suit. 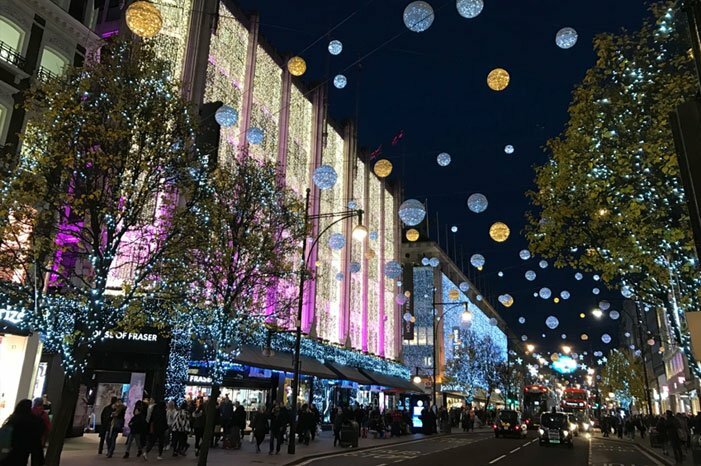 The festive displays were immensely popular. 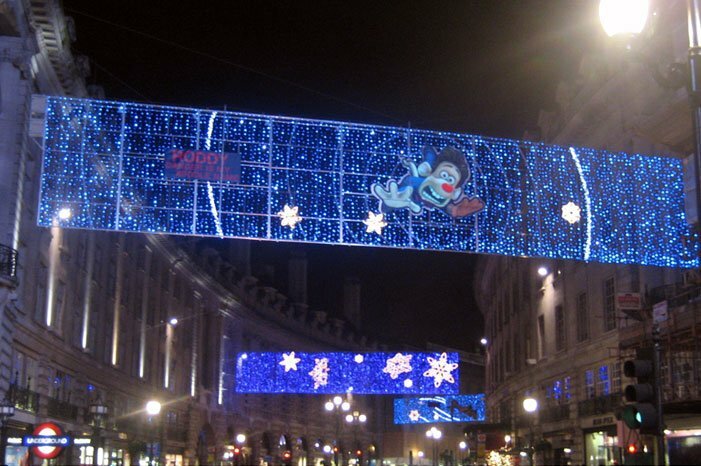 A bit too popular, in fact, as it wasn’t long before the House of Lords was attempting to ban the lights for “causing chaos and obstruction.” The attempts were unsuccessful, but the same year the lights went on in Oxford Street, they almost got turned off permanently, when on separate occasions, two objects fell from their fittings above the street. The first was an 18” electric candle and it fell to the ground without incident. The second, however, was 15 feet long and resulted in a fatality. 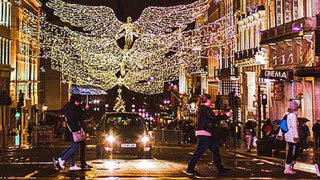 Despite the accidents, the lights continued to glow and grow and quickly became a highly-anticipated festive tradition. 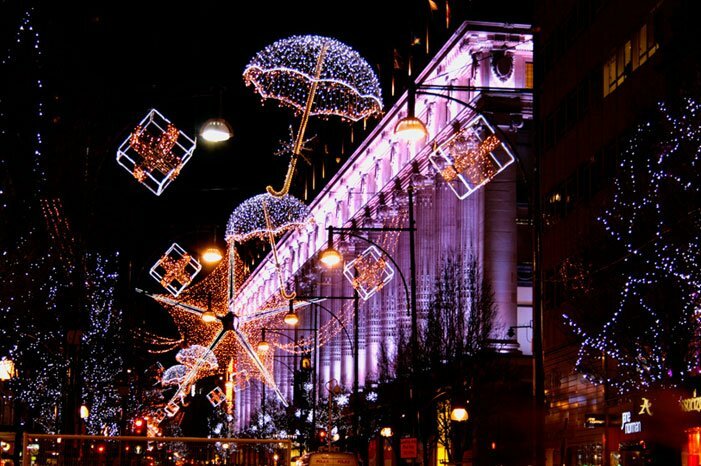 Over time, more and more streets began participating in lighting up London, but the tradition was put on hold in the early 1970s when a recession hit the U.K. A three-day week, food shortages, rising oil prices, power cuts and an inflation rate of 26%, made spending money on something as frivolous as lights an unnecessary luxury. By the late 1970s, the lights were burning again. To add to the excitement, the annual turning on began to be a more and more elaborately organized affair. 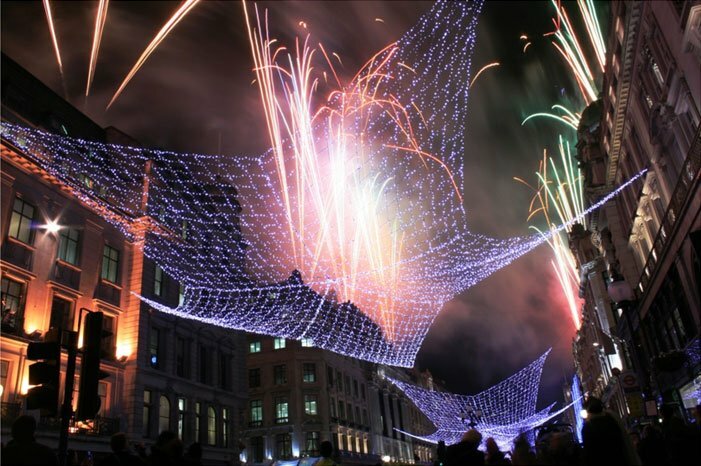 The switching on of the lights is now heralded by public ceremonies, featuring parades, pre-switch-on shows and celebrity light switcher-oners. It’s a bit like New Year’s Eve in Times Square, minus the Ball.